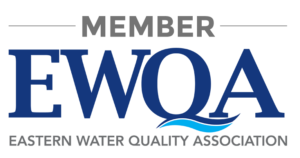 We will be presenting at the upcoming Eastern Water Quality Association Fall Conference. Stop by our booth at Table 16 for company news and updates. We will have our latest products on display including the WOW RO and our Ultrafiltration technology. On Friday September 21st, Richard Mest, Justin Mest, and Larry Zinser will be presenting on The Basics of Ultrafiltration from 11:15 AM to 12:15 PM located in Salon A. In the presentation we will provide a general overview of Ultrafiltration technology, with an increased focus on hollow fiber design, applications, and maintenance. Click the Link for information on the event.